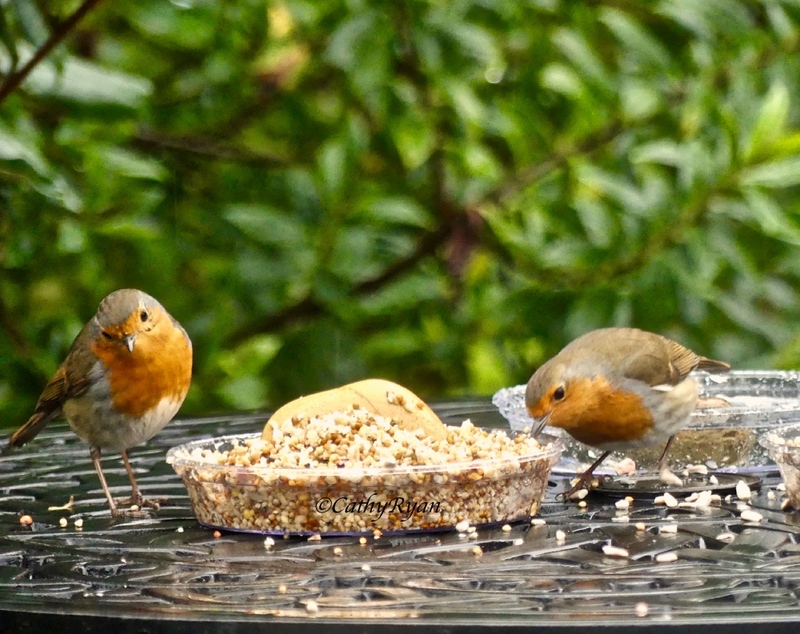 Thanks, June 🙂 Just feeding a seed mix specially for robins and other small birds. It seems to be going down well! Great photos! I love birds! I wish our robins here were as pretty. Thank you 🙂 Just googled the American robin, the colouring is quite different and look as though they might be bigger. They are bigger I believe, and pretty common. Ours eat mealworms so they won’t take my normal birdseed so feeding them is a challenge lol. We used to have some nest on our porch on top of the light fixture but my husband put a stop to that lol. 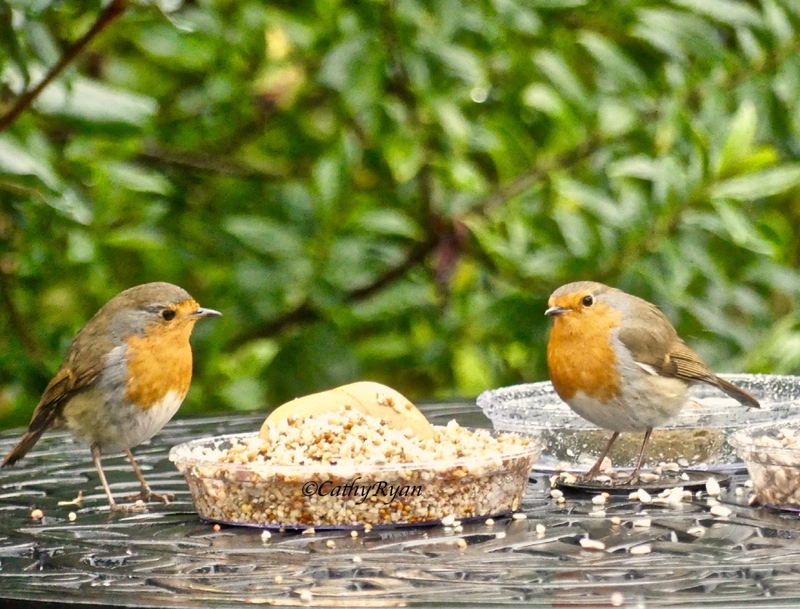 Ours eat mealworms too but I buy a seed mix especially for robins and other small birds and they love it. 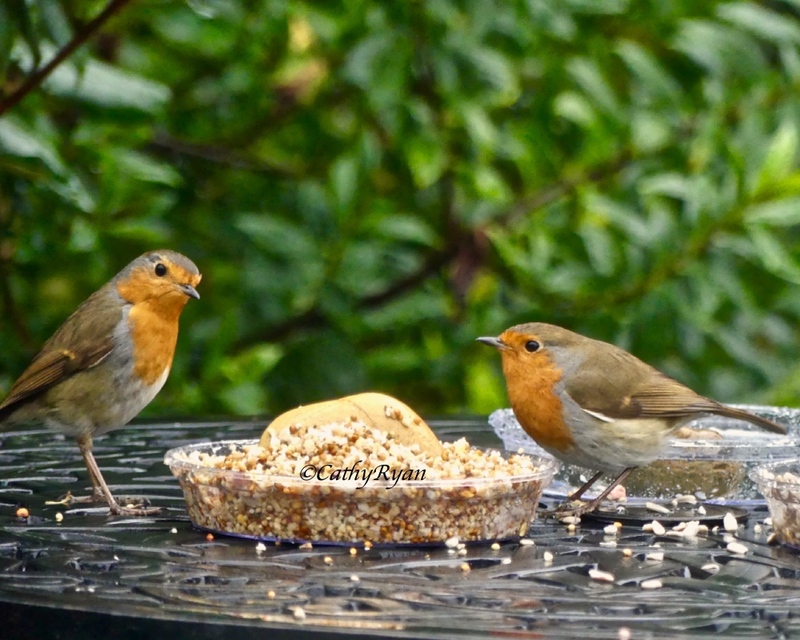 We had a nest in the back garden ( a better place than on top of a light fitting 😁 ) a few years ago, it was lovely watching the robins feeding their babies. They’re beautiful, Cathy, and so cute! I thought so too, like most birds the female was less colourful than the male. 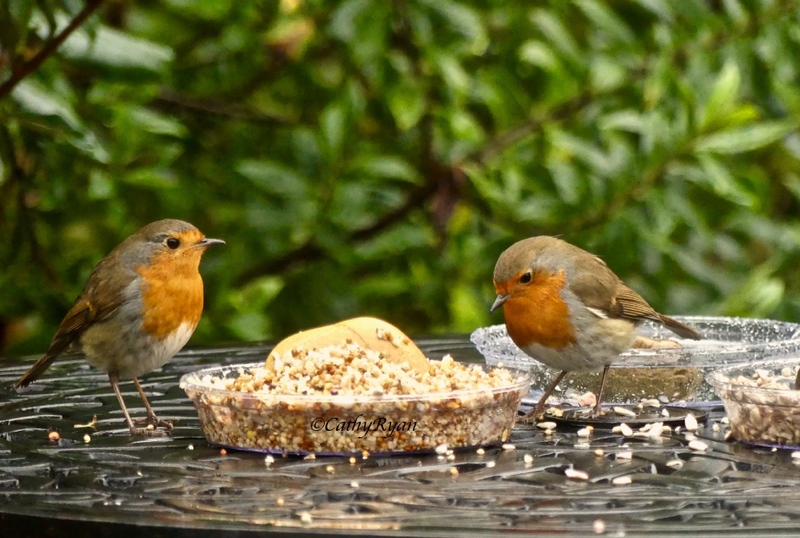 But both male and female robins have the red breast. Another set of really good bird pictures!